This project focused on a combination of organic and hard-surface modeling. 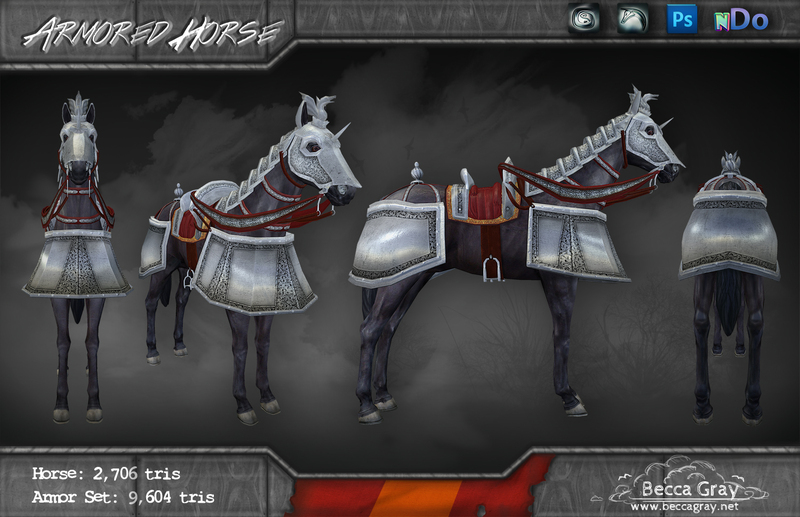 I’ve always enjoyed history – particularly medieval history – so I decided to create an armored horse inspired by 16th-century German horse armor. 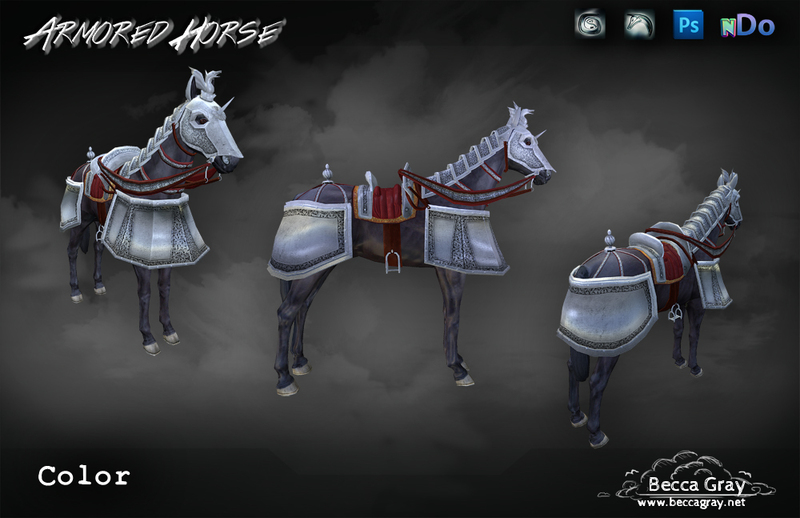 This era’s horse armor tended to be more for decoration than battle, so I had the opportunity to make a lot of extraneous belts and clips. 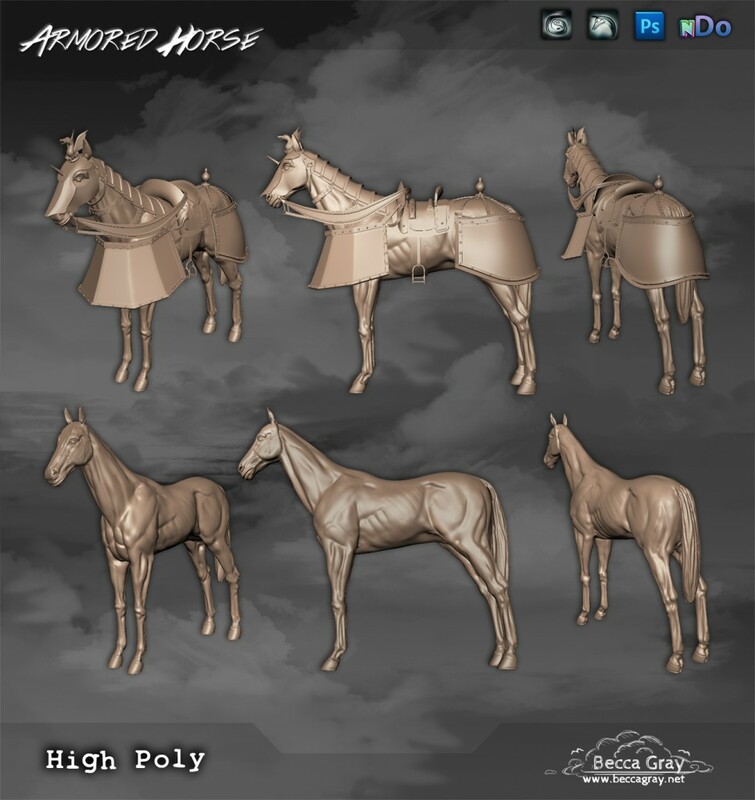 I built the base models for both the horse and the armor in 3ds Max, and sculpted the horse’s highpoly model in Mudbox. I created the highpoly models for the armor in 3ds Max. 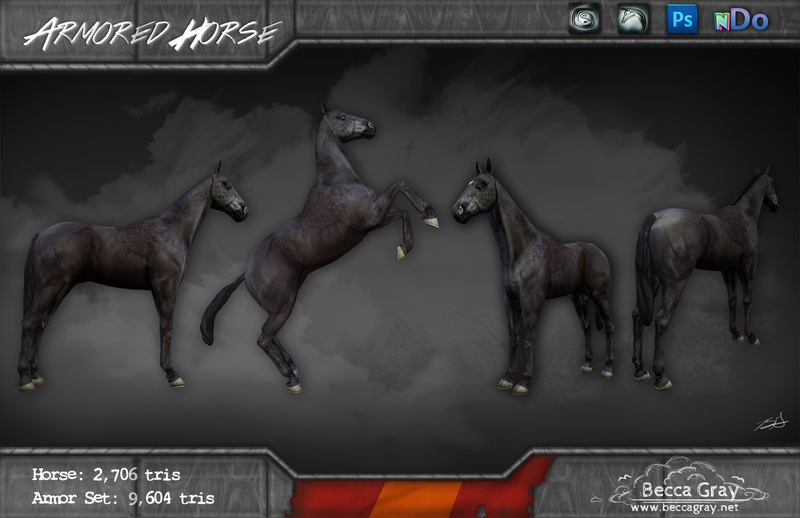 The diffuse and specular maps were painted using Photoshop CS5, though much of the spec and gloss were created in the 3ds Max material editor just before rendering.